Whatcha doin here? Come check out the new site! Click Here to Visit the NEW Lugia's Island! Attention everyone! Lugia's Island has moved to a new location! This site will still be up but it will no longer be updated! So pleaze update your links and check out the new site! Lugia's Room- Listen to music, watch a movie or play a game here! Moves and Status- Lugia's status and moves that he learns from leveling up and his TM and HM moves. Reveletion Lugia- The movie description and poster for Pokemon the Movie 2000. Lugia's Picture Gallery- The best Lugia pics on the web! If you steal one your breaking the law! I'm seroious! Ask if you want one! Legendary Birds Roost- Where the 5 birds rest. There is also a message board and now a chat room! We need a conversation! Fun Facts- Cool stuff about the legendary pokemon. Lugia in the Games- How and where to get Lugia in the Gold and Silver pokemon games! 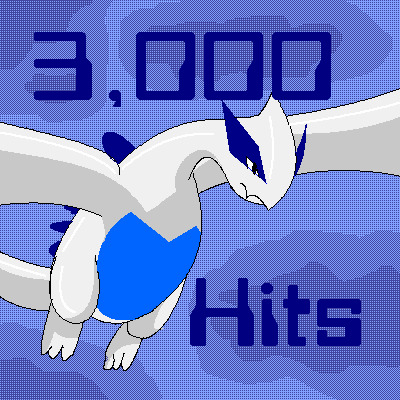 Fanfics- Cool fanfics about lugia and the other pokemon. Submit one of your own! Fan Art- Cool pics of lugia and the other legendary birds drawn by other people. The Legends of Lugia- Exclusive myths never before revelied to the public! Until now. Affilates and Awards- Awards i've won and my affilates! You can also become an Affilate! E-Mail Me- E-mail me and tell me what you think about the site. No portion of this site may be reproduced by any means without written permission by Lugia777.